To the general public, Hip Hop is probably one of the most confusing and exploited terms out there today. Every body has heard of Hip Hop, but very few can actually explain to you what it is. Here is a really great documentary for every body.. 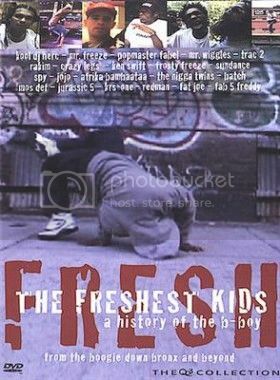 Awesome interviews with Ken Swift, Crazy Legs, Pop Master Fable, Fab 5 Freddy, Mos Def, KRS One, Poe One the list goes on!